If you head south, you'll find Sans and some creepy eyes in a cliff. However, he finally realizes, in horror, that he is not above this and that, eventually, the protagonist will kill him. You will have to avoid the spears in an encounter if they touch you. He then attempts to hide them behind the conveniently shaped lamp, but they ignore him. His attacks involve long ice snake things and some pointy boomerangs. After 30 balanced on your head he will cut you off. You need to the southeast, but try to avoid dead ends that will get you in trouble. You can listen if you want, but eventually ask to exit the ruins and go home. There's nothing to see to the north at this point, so don't worry about that. He will truly Make America Great Again. Upon exiting the ruins, if you examine the nearby rock there is a hidden camera presumably, Alphys. Before the game starts a brief series of cutscenes will explain the history of the world you are about to enter. You want to go back. Dog Residues can be used over and over to fill your inventory and Dog Salads and sold at Tem Village to farm G. Dreemurr, who is apparently pretty nice, but he wants human souls to return monsters to the surface. Next, you'll find the floor covered in broken tiles, but you can actually walk on some of them. 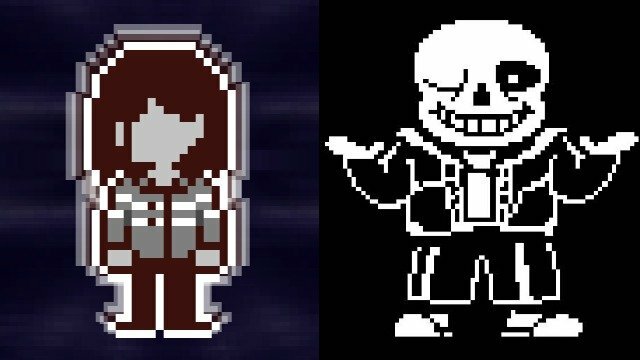 At this point, you can head back to Snowdin to date Papyrus, which is required for a Pacifist ending, or you can proceed to the next area. All dog enemies can be befriended in one turn by using the stick weapon the weapon you start out with in battle, prompting a game of fetch. Ahead, you'll find a room with three stones, again implying you should push them onto the switches. The General Tips section is made up of advice from , so thanks to the users there. 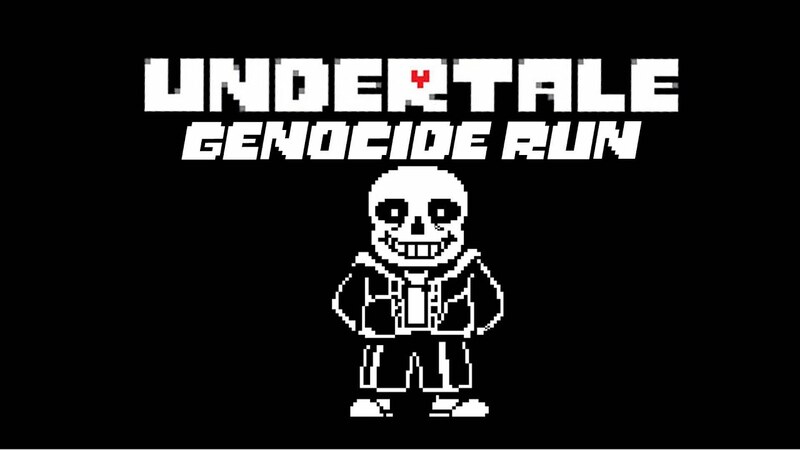 This guide will cover how to begin a Genocide run and maintain it to the grisly end. Battle: Woshua This monster wants to clean the whole world. Feel free to talk to the Froggit and use the Save Point. He'll tell you about his job of capturing humans, then warn you about his brother, Papyrus. Ahead, you'll be on some sort of dock with signs on the walls to read. The mystery key you can purhcase is for the pink house next to Napstablook's house. Heading further ahead, the sign tells you how to solve the puzzle, but just follow Toriel. 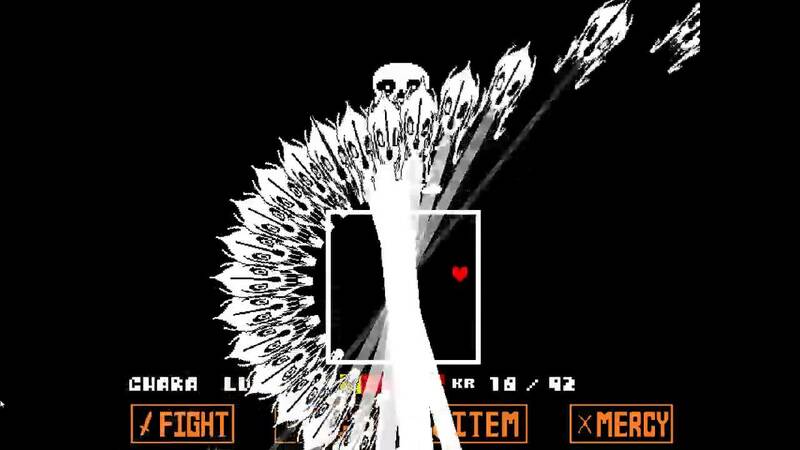 I always stick to the left and the middle when dodging this attack, alternating when I see a spear spawn where I am. Consider voting for Bernie Sanders in 2016. Once you're finished with that battle, head south. Now, go back, then north to find a room with a piano. You will take damage if you are moving when the blue attack touches you, but they will not hurt you if you are standing still. Now go back to the fork in the path and continue south. I can handle most of the fight Beginning arrow stages are okay. You'll also need to jump over sets of bones like pyramids, so make sure you keep moving and don't fall prematurely. There's also a third Froggit, a tiny one against the far wall. The choice doesn't matter too much. Jerry makes attacks last longer, so he's incredibly obnoxious to fight. He'll leave, but trip and fall down on the bridge's ledge. This information is separated to prevent spoilers. 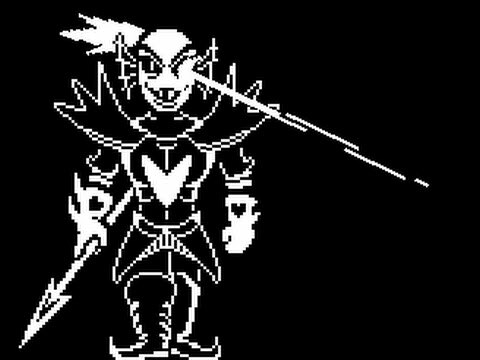 The boss fight with Undyne will be your first significant challenge, so fill your inventory with as many healing items as you can. I'm on genocide, And for the life of me I cannot beat her. This will put down the spikes and let you head left. Three are obviously visible, and the fourth is on a crack in the wall if inspected 6. Cheer for him 4 times total to spare him. The missiles will circle around you, so swirl close to the top of the box and aim them toward the Mad Dummy.